This is our reference NY-16817. 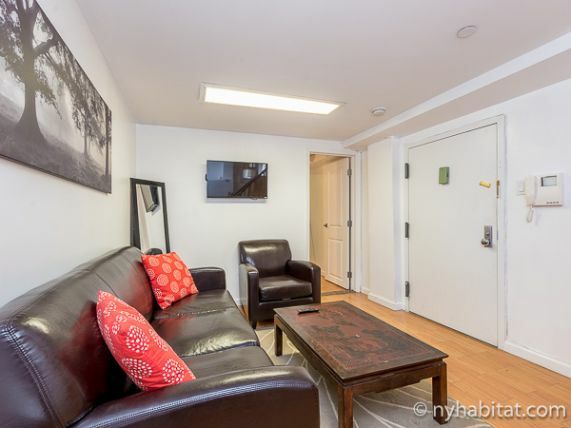 Welcome to the thriving streets of Crown Heights in Brooklyn from this fully furnished two bedroom apartment rental on Albany Avenue and Sterling Place. 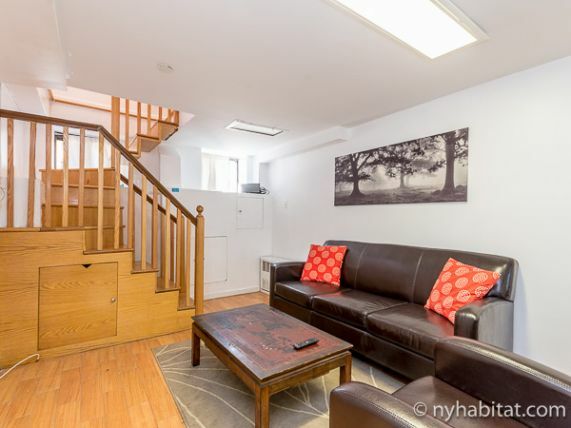 This listing is situated on the first floor (ground floor for Europeans) a 19th century low-rise walk-up building with laundry access! 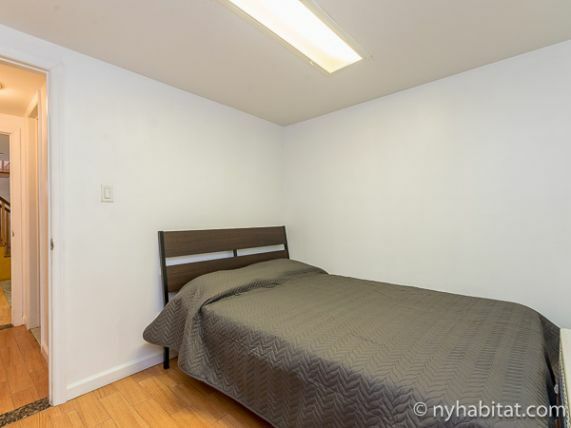 The interior of this listing has a fresh, chic, and classic design. 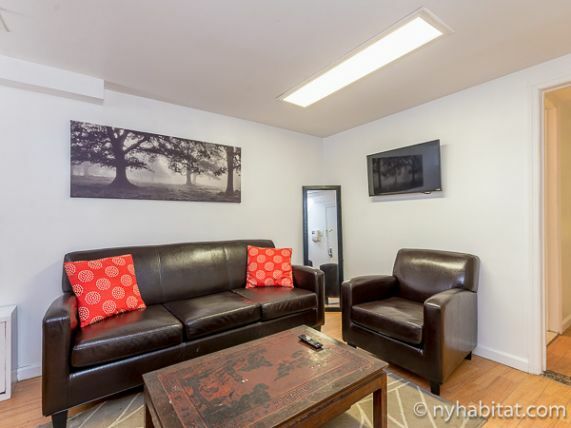 Upon entrance to the apartment, the living room is furnished with a sofa, coffee table, air conditioning, and a TV. 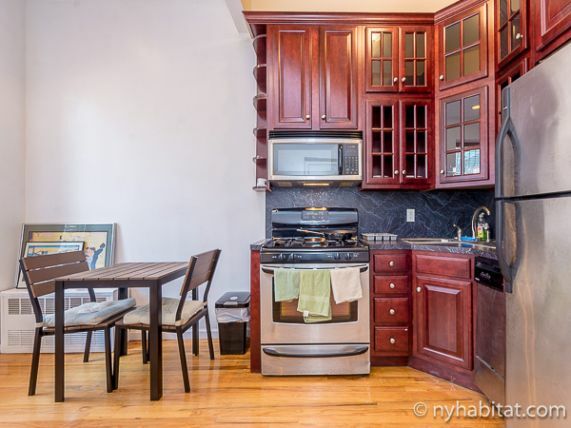 The kitchen has beautiful mahogany hardwood cabinetry and is equipped with a dining area, oven, fridge, freezer, microwave, coffeemaker, toaster, and dishwasher. 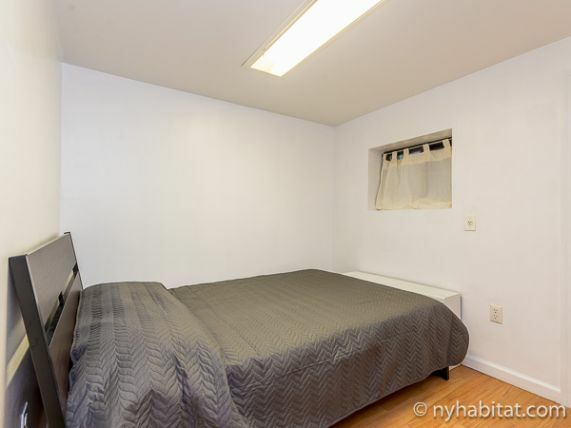 Bedroom 1 is the first room for rent, with bright white walls and hardwood floors, the room is furnished with a Queen-sized bed with bedding, an A/C unit, and closet. 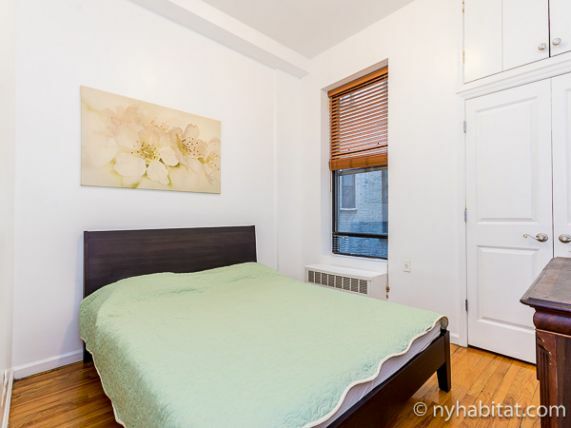 Bedroom 2 also has bright walls and hardwood floors, with a full-sized bed with bedding, A/C, and a closet. 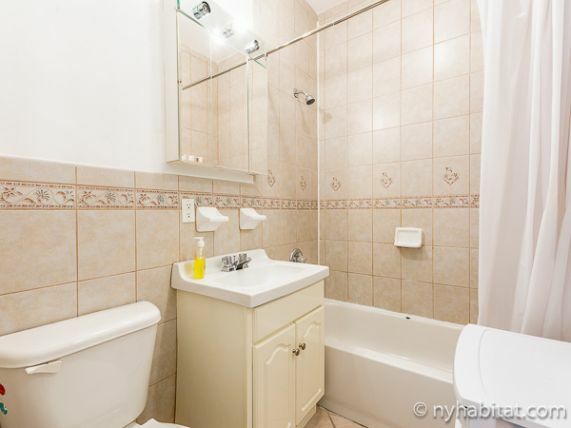 There are two bathrooms: Bathroom 1 has a bath tub, shower, towels, and a WC. 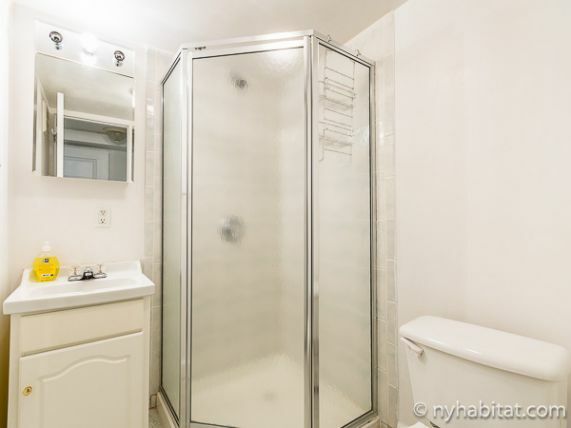 Bathroom 2 has a walk-in shower, towels, and a WC. 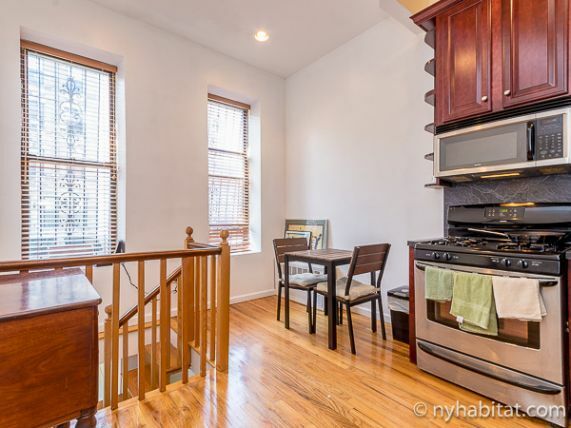 Crown Heights is a thriving Brooklyn neighborhood with an engaging community feel and a rich architectural landscape. Take a stroll around the corner and enjoy Boeuf & Bun (0.2 mi/350 m), a bustling hamburger joint serving innovative, handcrafted burgers paired with a variety of craft beers. St. John’s Park & Recreation Center (0.5 mi/800 m) offers public indoor fitness, a pool, and basketball courts. You are also not far from the Brooklyn Public Library (0.5 mi/750 m)! The subway at Kingston Avenue / Eastern Parkway (0.3 mi/450 m) connects you to the 2, 3, 4, and 5 lines.